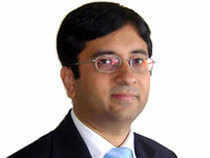 Rajeev Thakkar: Anybody's guess. Markets are at all time highs both in India and globally and of course geopolitical events no one can predict what will happen with North Korea or US. Purely from valuations perspective, I do not see a reason for a broad selloff. Things like Amazon or Netflix are hard to value and you do not have too much of earning backup for the valuations, but the stocks that you mentioned like Google or Facebook, these are being valued on a conventional basis. It is not like the previous dot com where eyeball valuation is there. These are real businesses with real users and real cash flow coming in. So you are not worried about that exposure, the stock has come down from ₹ 900 to about ₹ 600?